Back in September last year I imported an NTSC-J Xbox 360 and began my mission to acquire all the weird and wonderful CAVE games that never made it outside of Japan. Unfortunately the large cost of both the console and the rare import shmups meant that in order to prevent financial ruin I had to put my quest on a temporary hold. But although it took longer than expected I think I’ve finally got them all, and today I’ll run through everything new in the collection since last time. This week I purchased the New Nintendo 3DS; an updated version of Nintendo’s handheld with a few notable improvements. 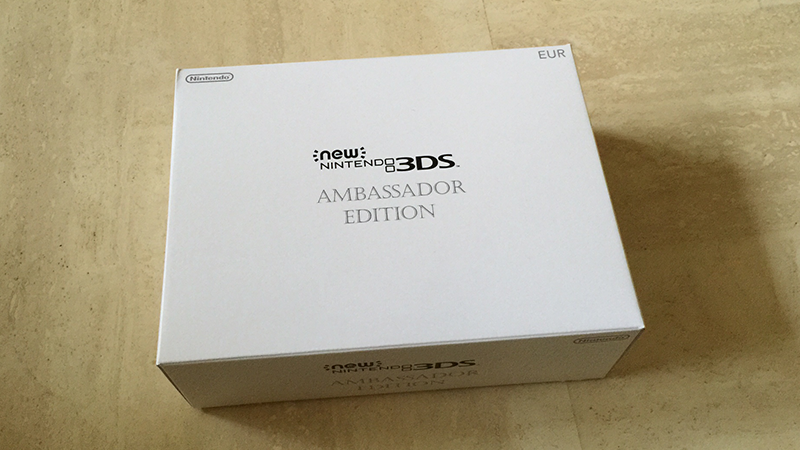 Whilst the console itself isn’t launching in Europe till 13th February the ‘Ambassador Edition’ system has already been made available – and it’s this version in particular that I’ll be looking at today. What’s everyone’s favourite version of Super Smash Bros.? Mine is Melee for the Nintendo GameCube, although the N64 original is a close second. The game was always well suited to the Cube’s smart controller design, and due to a distinct lack of buttons on the Wiimote this also became the optimum way to play its sequel, Brawl. For the newest game Nintendo have undeniably gone all out, and this includes the option to use the fan favourite controller with the Wii U for the first time. 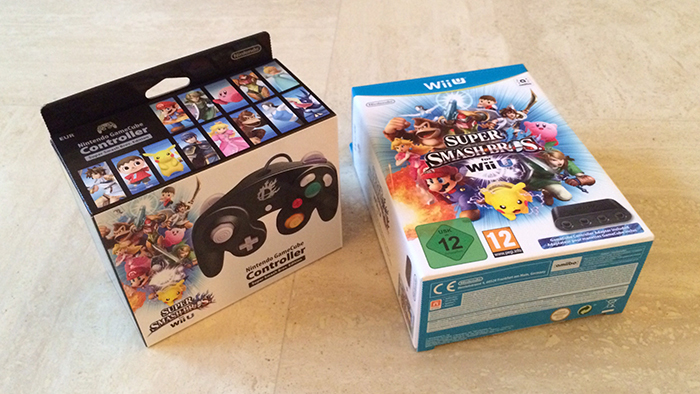 Today I’ve been doing just that, and will look at the items needed to enjoy new Smash Bros. the old school way. 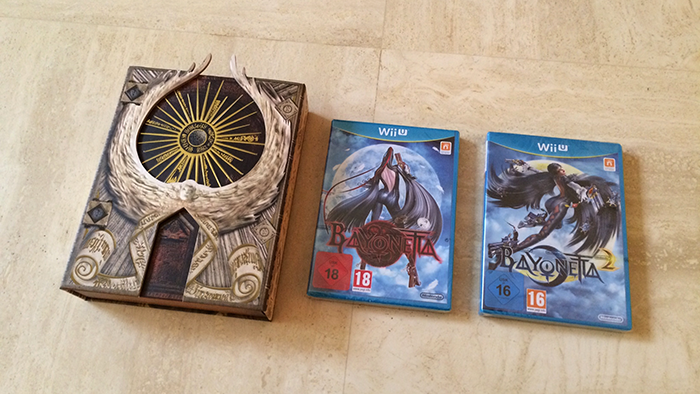 This week I purchased Bayonetta 2: First Print Edition for the Wii U, an item that has gained notoriety for its small production run and quick sell out time. In total 15,300 copies were produced, and whilst this wouldn’t be too unusual for a more niche game, Bayonetta 2 is the most exciting title to grace the Wii U in quite a long time. I was fortunate enough to pick up a copy myself, and today I’m going to open it up and go through what’s inside. 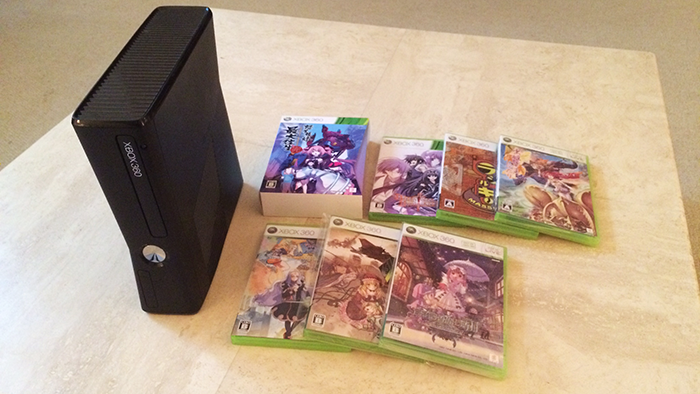 This week I bought a Japanese Xbox 360 and a selection of import games. 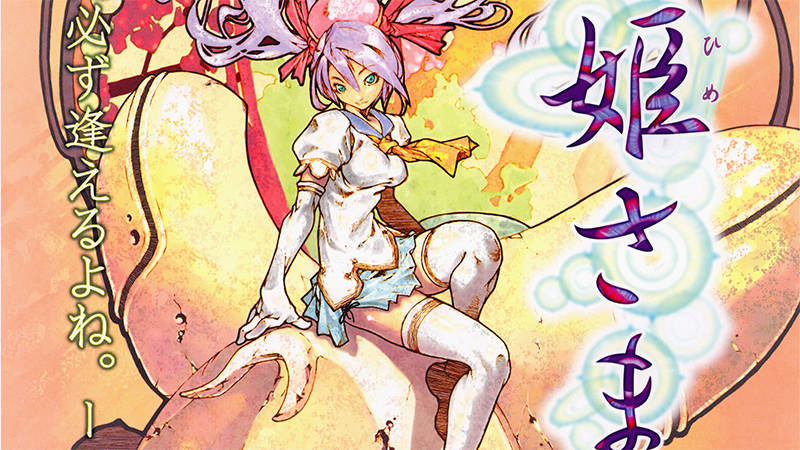 Most of these are made by CAVE, who specialise in manic shooters and have ported their arcade classics to the console. With few of their titles making their way out of Japan, and many enforcing a region lockout, their library is perhaps the main reason for purchasing a Japanese system. Today I will look at the advantages and disadvantages of importing, as well as some of the games doing so will give you access to. 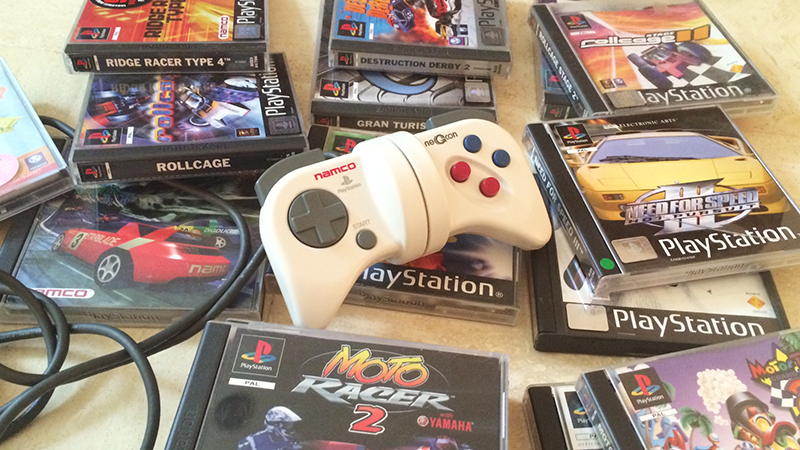 This week I purchased a rather strange looking device; the Namco neGcon controller. Characterised by the large swivel mechanism in its centre, this PlayStation accessory was originally created to allow for full analogue control in Namco’s console port of the game Ridge Racer. Today it can be used with a wide selection of classic PlayStation racers, and I’ll be taking a look at its functionality, as well as some of these titles, in full detail below. Anyone following DC may be vaguely aware of the evolution of my SEGA collection, and in the past I’ve documented both my Mega Drive and Dreamcast buying sprees. 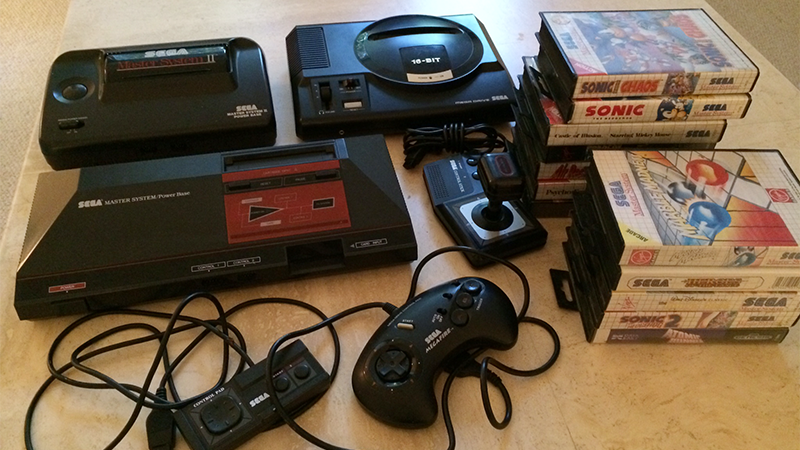 Alongside the Saturn my collection was nearing completion, and finally this week I turned my attention to the one console that was notably absent; the Master System.